Ah Halloween, one of the most looked forward to holidays by kids all across the country.What with all the costumes , parties, and candy, what’s not to love? But all to often it seems like all the fun is for the kids after you become a parent. 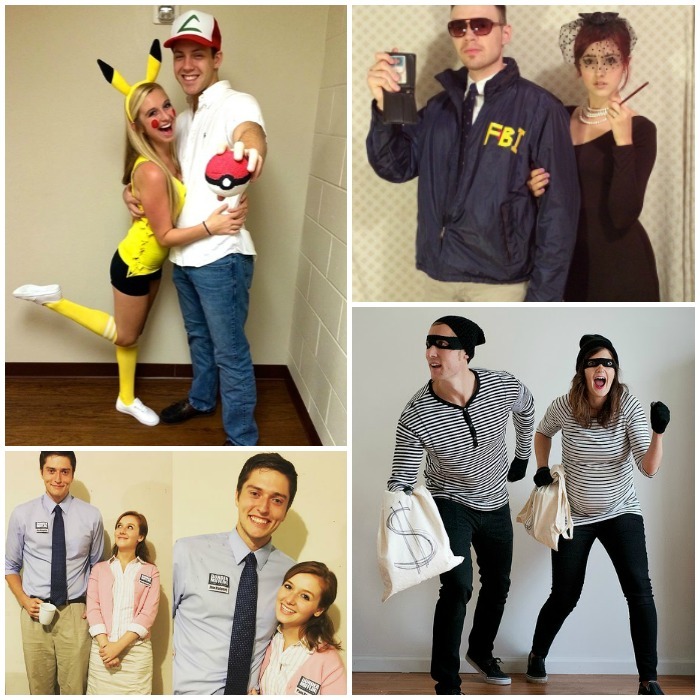 However dressing up as an adult is fun, too, especially when you get your partner involved. 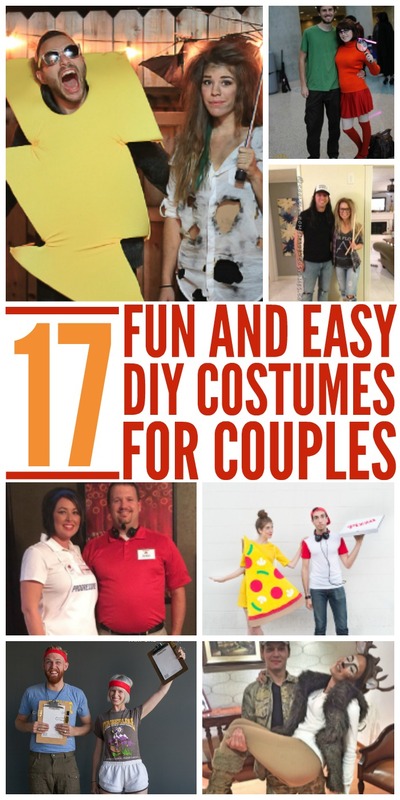 We’ve found 17 fun, easy (and sometimes hilarious) diy couples costumes for your inspiration. It’s amazing how far some thrift store clothes or cardboard and paint can go! Check out our face painting ideas while you’re here. Parks and Rec is one of my favorite shows of all time. 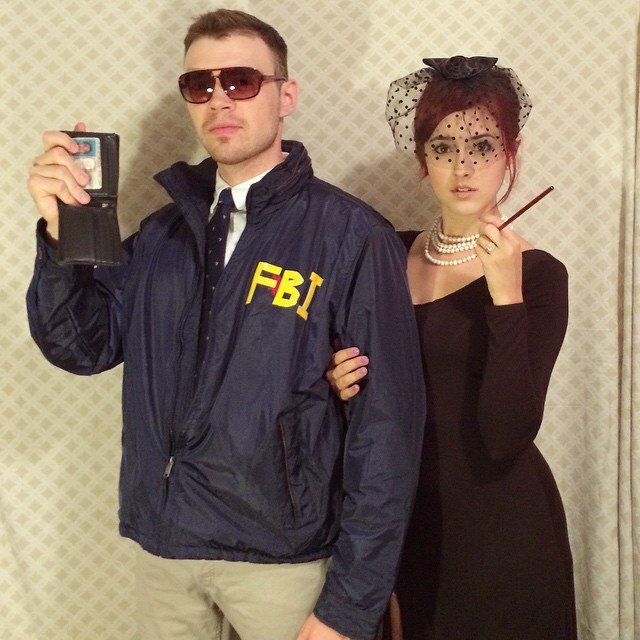 If you’re a fan, you’ll recognize Burt Macklin, FBI and Janet Snakehole from a mile away. Love! 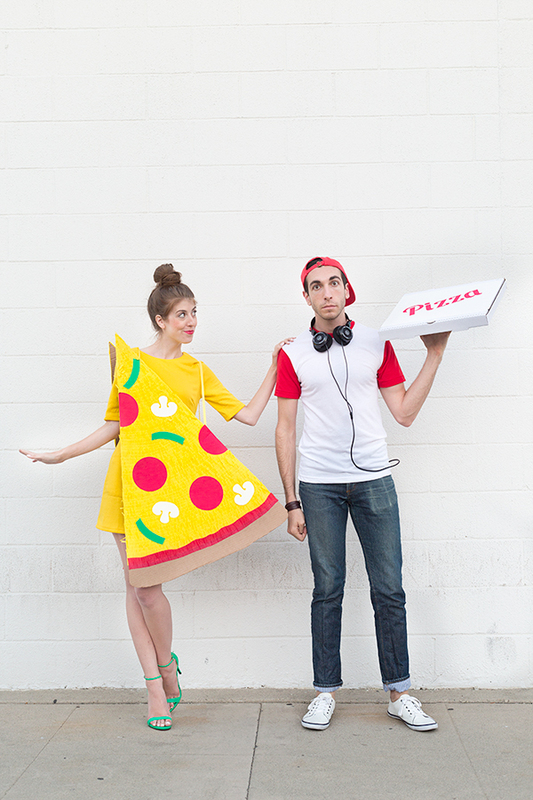 This pizza slice and delivery boy costume is pretty cute. All you need is some cardboard and paint for the pizza slice, and just reuse a take-out pizza box for the guy’s costume. Easy peasy! If your hubby or boyfriend is already a hunter, he’s all set. 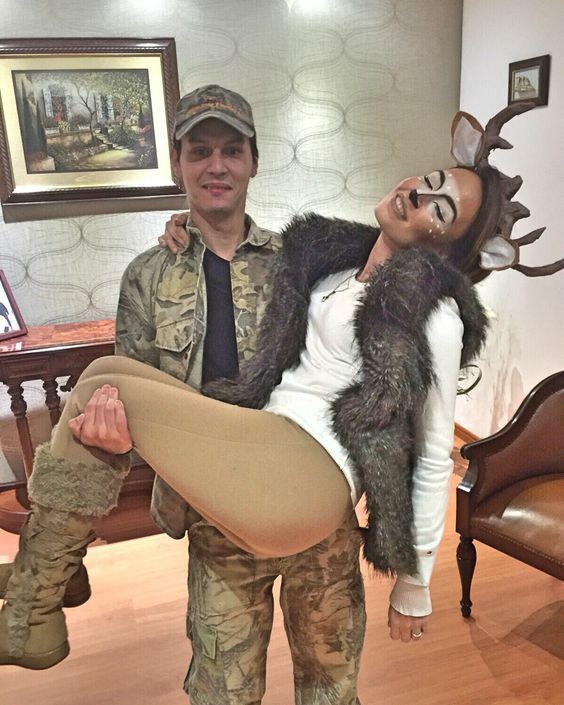 Dress yourself up as a deer for this deer hunter couples costume. Just about any guy with a scraggly beard can pull off Shaggy. 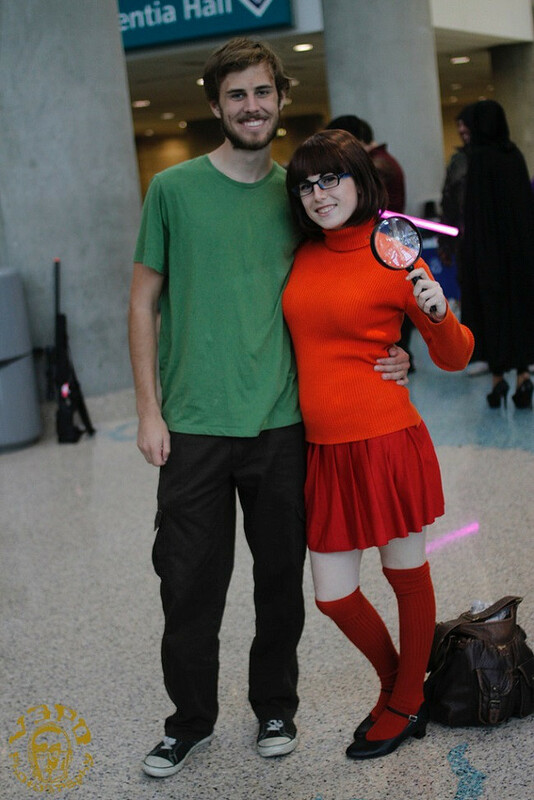 Dress up as Velma, hop in the Mystery Van and go to that party! 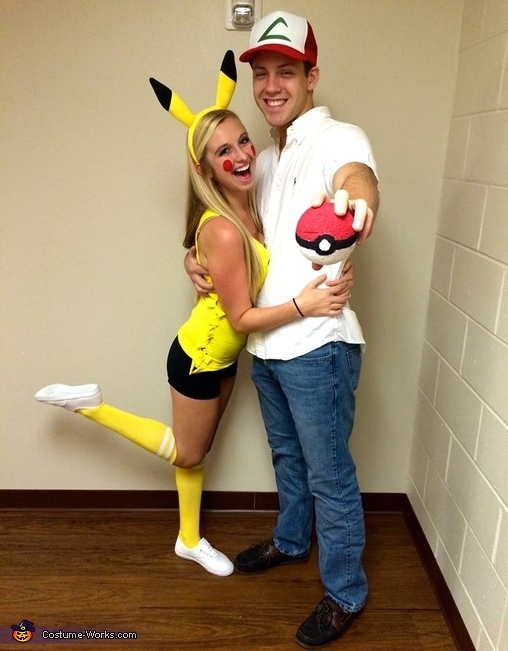 With a whole new generation of Pokemon fans now becoming obsessed, this Ash and Pikachu couples costume idea is sure to be a hit. 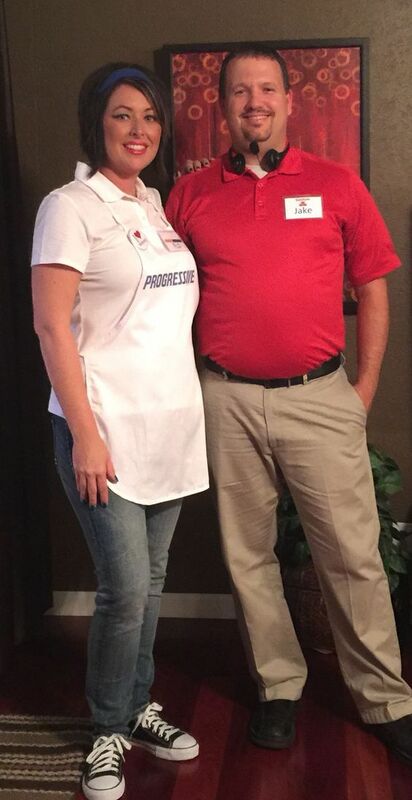 Insurance agents must see this one a lot… Flo from Progressive and Jake from State Farm. If you’re a parent, you’ve stepped on these at least half a dozen times… talk about a nightmare! 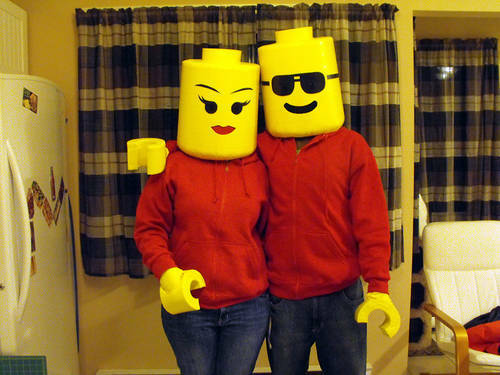 But dressing up as Lego Mini Figures can be lots of fun. 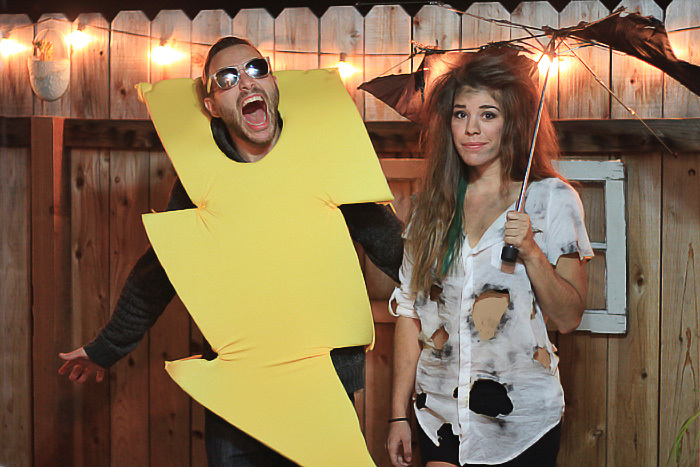 You don’t need anything for this Struck by Lightning costume at all. Cut a lightning shape out of cardboard and paint it yellow. Do some destructive work to an umbrella and a shirt. Frizzy hair? Check (almost always). Done! Go, go gadget hands! 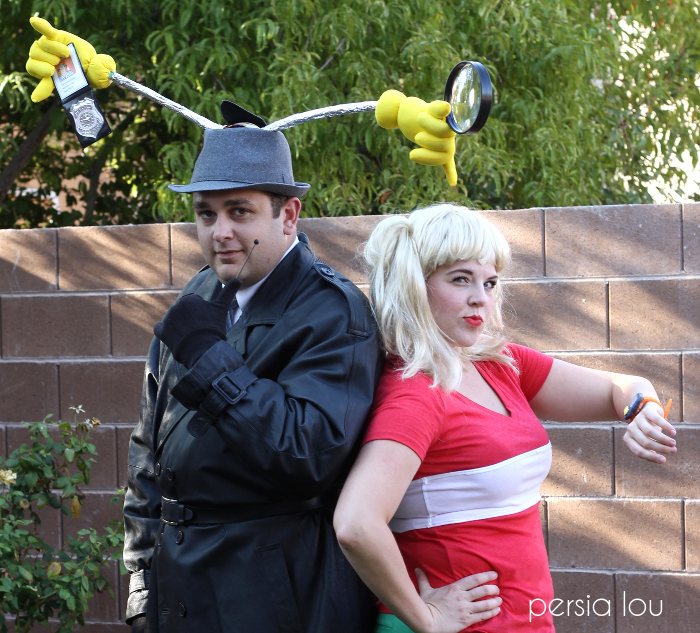 These Inspector Gadget and Penny costumes sure bring back memories. This one involves a bit more work, but it’ll be so fun to make! 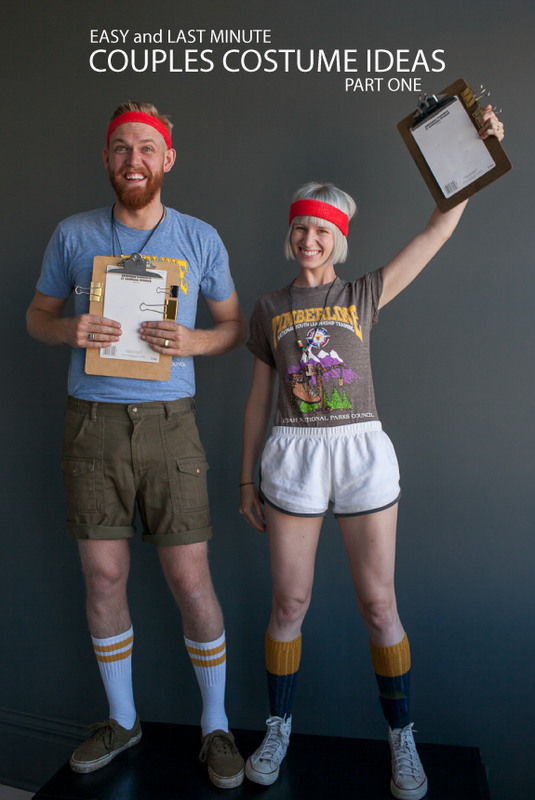 If you’ve ever been to summer camp, you know exactly what those over-eager camp counselors looked like. Find your sweat bands, hike up those old tube socks and grab some clipboards. Let’s go, happy campers! 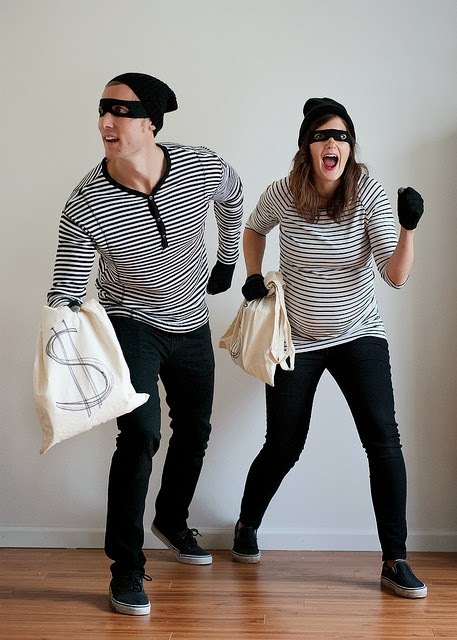 Black and white striped shirts, beanies and eye masks are enough to turn you and your partner into bank robbers. Don’t forget the bags for your money (or candy) stash! Okay, I have to admit that it took me a while to get this one. They’re hash browns playing tag… hashtag. Get it? 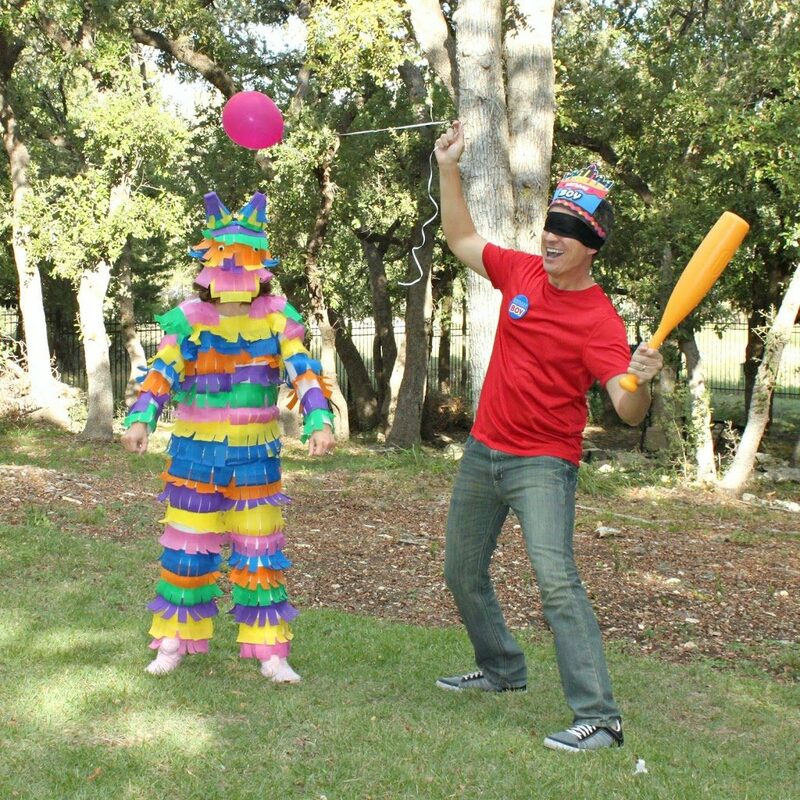 One of you can dress up as a pinata and the other as the birthday boy or girl. Just make sure there are no ill feelings before handing over that bat! 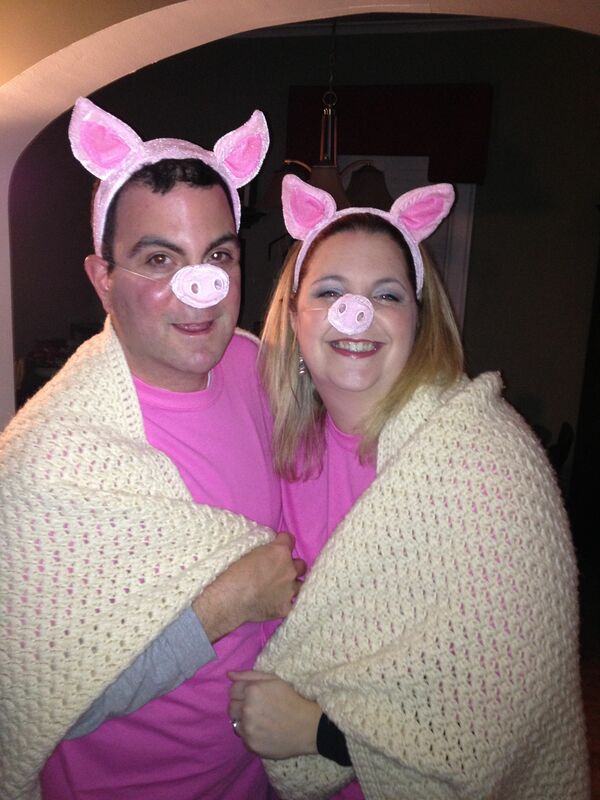 This is super easy… Pigs in a blanket. 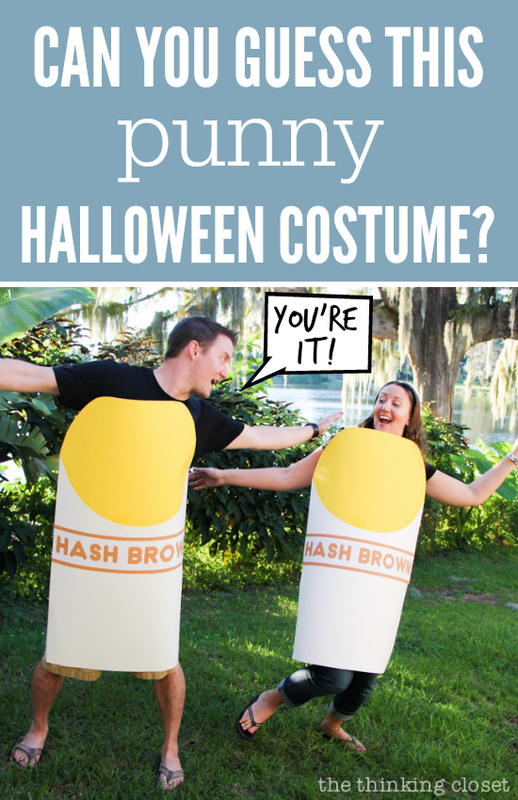 That’s a last-minute costume if I’ve ever seen one… no excuses to skip the party now! Party time. Excellent! 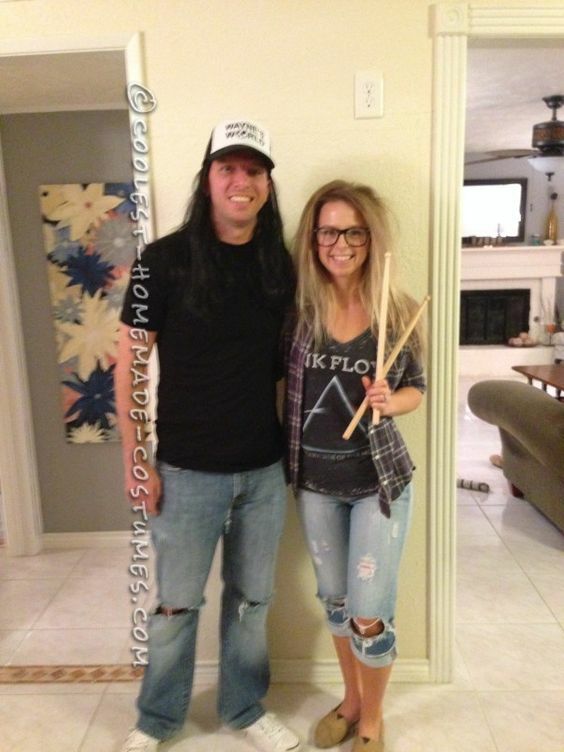 This Wayne and Garth couples costume will be a big hit. If you don’t have clothes in that style, a quick trip to the thrift store will fix that. 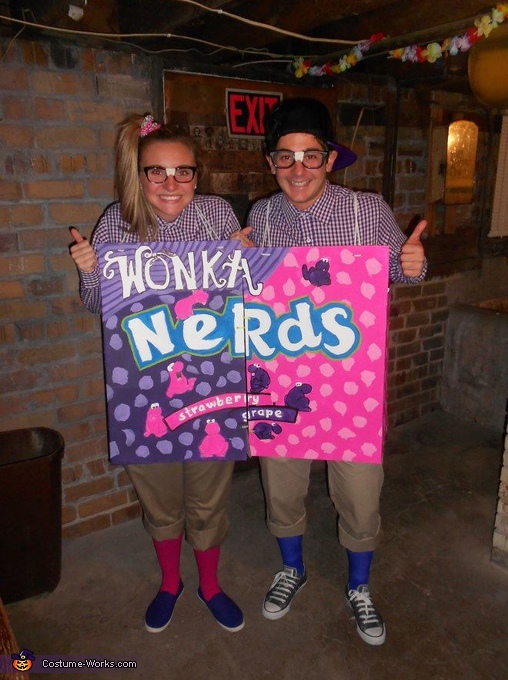 Here’s another cardboard costume masterpiece: nerds! How cute is that? 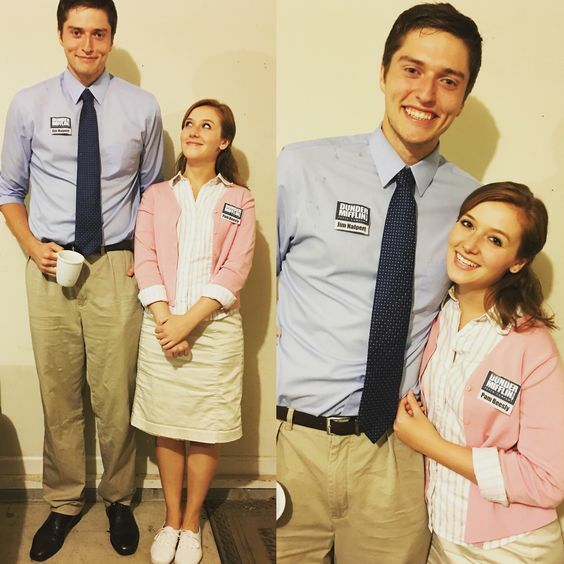 And finally, just because they were so darn cute as a couple on The Office, here’s a Jim Halpert and Pam Beasley couples costume. Aww!